Biotech Company Curis, Inc. has opened a clinical trial, which it says is the first study designed specifically to examine a patient population characterized by a protein found in around 90% of malignant mesothelioma tumors. Known as VISTA, the target is a surface protein, which inhibits the immune system from functioning properly, allowing the mesothelioma to thrive. Per the company, the drug being studied, CA-170, is an orally-available, small molecule antagonist of VISTA and PD-L1 immune checkpoints. Because the drug inhibits VISTA, the hope is cancer growth would be inhibited and the body’s immune system would be better equipped to attack the cancer. While this isn’t considered a cure just yet, the hope is that the drug would help patients control the mesothelioma. Curis is focused on the development and commercialization of innovative therapeutics for the treatment of cancer. The company is engaged in a collaboration with Drug Discovery Services company Aurigene, for discovery and development of drug candidates in the area of immune-oncology and precision oncology. The Company's collaborators, F. Hoffmann-La Roche Ltd, or Roche, and Genentech Inc., or Genentech, a member of the Roche Group, are commercializing Erivedge (vismodegib) for the treatment of patients with advanced basal cell carcinoma, or BCC. As part of the Curis, Aurigene collaboration, Curis has exclusive licenses to oral small molecule dual antagonists of PD-1 and VISTA, including VISTA/PD-L1 antagonist CA-170, and oral small molecule dual antagonists of PD-1 and TIM3, including TIM3/PD-L1 antagonist CA-327, as well as to molecules designed to inhibit IRAK4 kinase, including CA4948. IRAK-4 (interleukin-1 receptor-associated kinase 4) kinase is another protein involved in signaling innate immune responses from Toll-like receptors. It also supports signaling from T-cell receptors. The Curis clinical trial offers new hope for the medical community and patients. Some suggest that CA-170 might even help Keytruda work better in a larger percentage of mesothelioma patients. Today, only a small number of mesothelioma patients benefit from the drug. In addition to Keytruda, some currently approved drug treatments for mesothelioma include Alimta and the combination Gemcitabine-Cisplatin. Alimta may also be used in combination with other drugs and many new forms of treatment, such as targeted therapy, photodynamic therapy, other immunotherapies, gene therapy vaccine therapy, are currently being tested. However, chemotherapy, radiation, and surgery still remain the first lines of defense in the fight against mesothelioma. According to the American Cancer Society (ACS), these staples of cancer treatment may provide the most promising option for some patients. 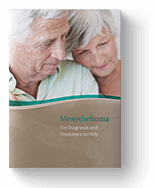 If you have been diagnosed with mesothelioma, talk to your doctor about participating in a clinical trial. A new or experimental drug could be helpful in treating your specific type of mesothelioma, so talk to your doctor today. Aurigene.com. Aurigene Discovery Technologies, 2019. Web. 17 Mar. 2019. Curis.com. Curis, Inc., 2019. Web. 17 Mar. 2019. "Drugs Approved for Malignant Mesothelioma." Cancer.gov. National Cancer Institute (NCI) at the National Institutes of Health (NIH), 17 Sep. 2014. Web. 17 Mar. 2019. "IRAK4." Wikipedia.org. Wikipedia, 17 Sep. 2014. Web. 15 Feb. 2019. “What’s New in Malignant Mesothelioma Research?” Cancer.gov. The American Cancer Society, 16 Nov. 2018. Web. 17 Mar. 2019.